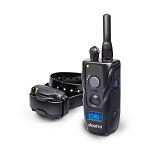 The Dogtra 2700 T&B is the next generation Training & Beeper shock collar. Designed for upland hunting, Dogtra's 2700 T&B has the beeper horn built into the receiver. 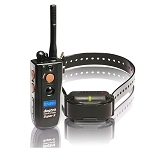 The beeper has a 400-yard range and a dual high and low three-level volume adjustment selector switch for the run/point mode, point mode and locate only mode. 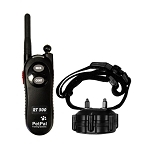 The unit is fully waterproof and submerisble and features a full one-mile range, 127 levels of momentary and continuous stimulation, rheostat dial for gradual adjustment of stimulation and Locate Mode with high or low pitch selectable toggle. 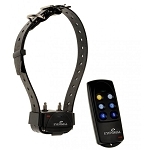 While in the Running/Pointing Mode the collar will emit a slow beep when the dog is running and resume to a rapid beep when the dog is on point. 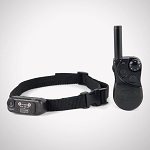 While in the Pointing Mode the collar will remain silent while the dog is running and when the dog goes on point it will begin to emit sounds. There are 3 levels within the high tone (H3-high, H2-medium, H1-soft) and low tone (L3-high, L2-medium, and L1-soft). 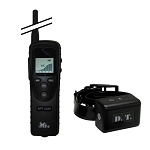 The transmitter has an LCD window that displays the intensity level, along with a 3 bar battery life indicator. 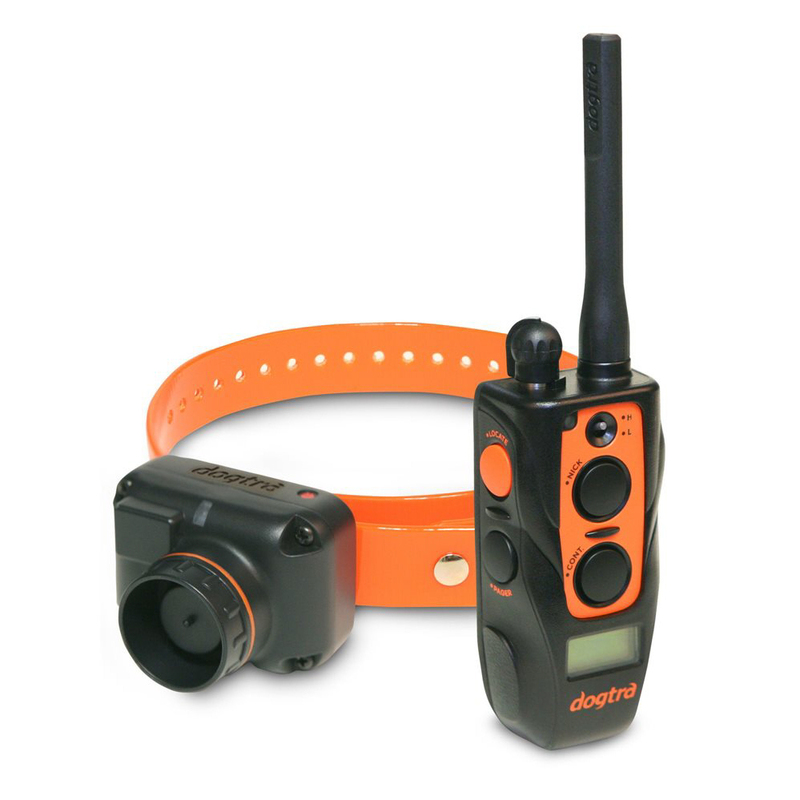 Also available in a 2-dog system, the 2702T&B.